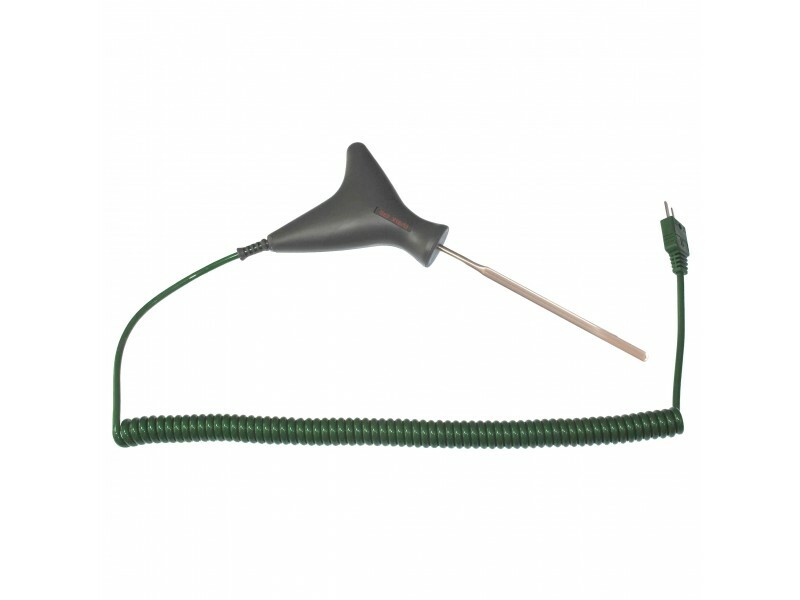 These flat food handheld sensors have an ergonomically designed handle for ease of use. 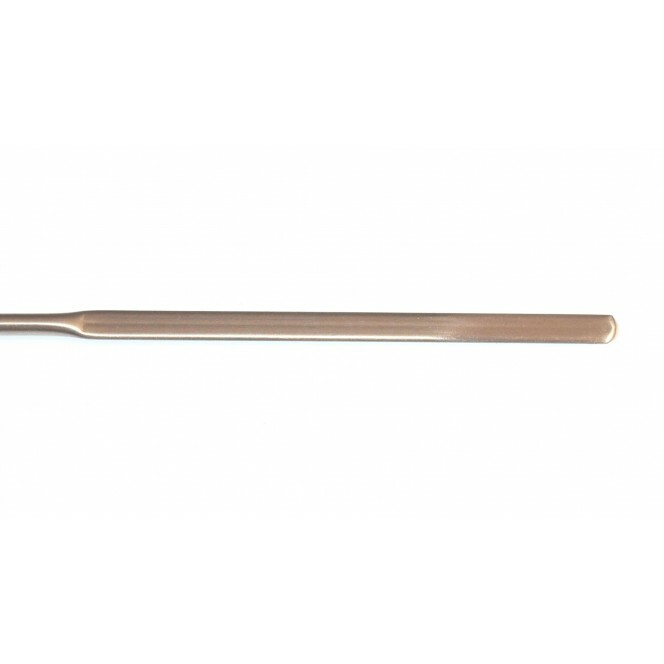 The handle also contains an antimicrobial substance which kills microorganisms, making it ideal for the food industry or applications where cleanliness is paramount. 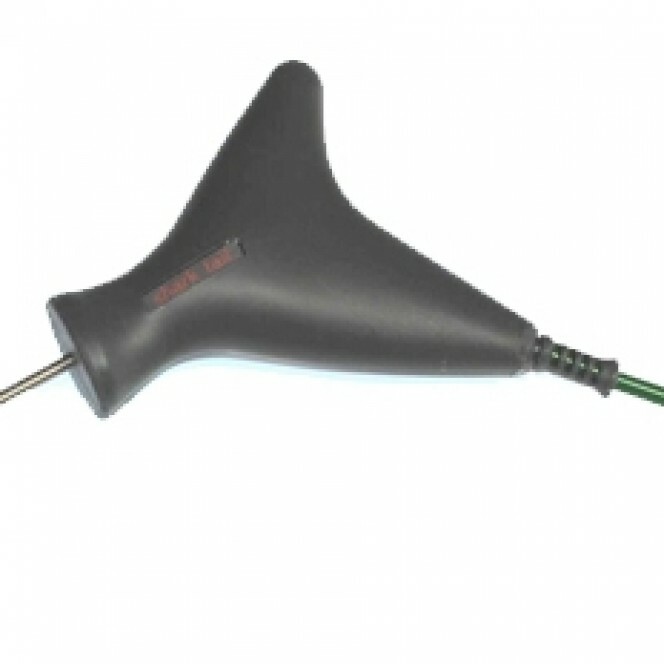 The solid handle and cable have also been tested for torque and tensile strength. The curly polyurethane cable is 2 metres long (extended) with a moulded on connector in IEC, ANSI colours. 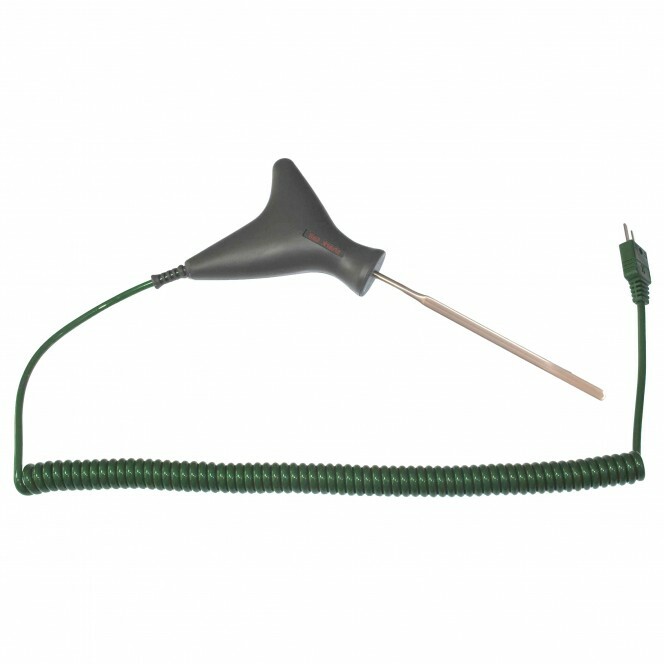 Sensor type: Flat tip thermocouple, Type K or T.
Construction: Mineral insulated Thermocouple to IEC, ANSI. Element/hot junction: Single element, grounded junction offering fast response. 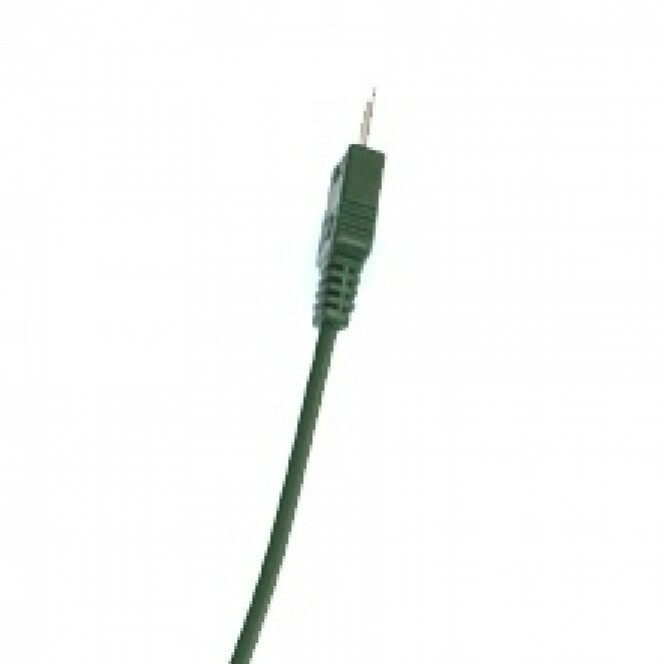 Cable: 2 metre Polyurethane (extended), colour coded in accordance with IEC, ANSI with moulded on miniature plug.